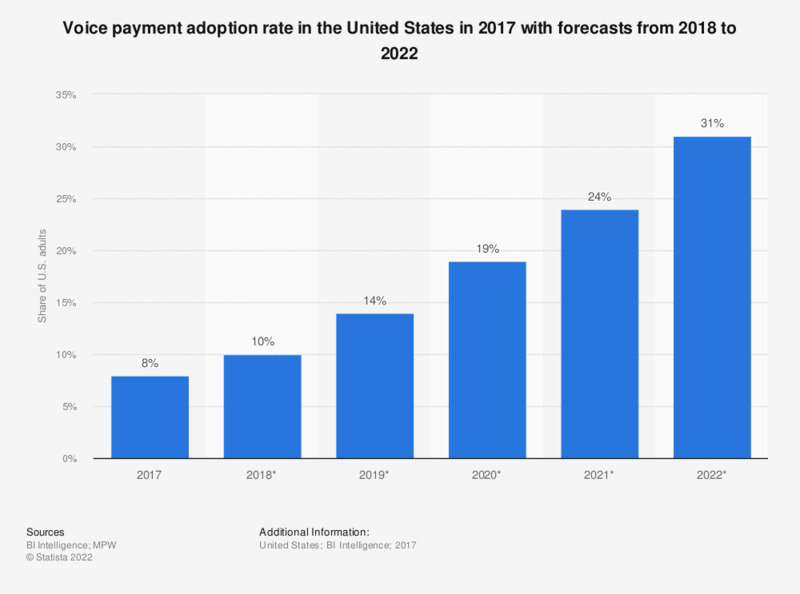 This statistic provides information on the voice payment adoption rate in the United States from 2017 to 2022. Voice enabled P2P payments through digital assistants are growing - in 2017, eight percent of the U.S. adult population used voice payments. This figure is projected to increase to 31 percent in 2022, largely due to the increasing popularity of voice assistants like Google Assistant, Apple’s Siri and Amazon’s Alexa, which have added or are exploring P2P capabilities.